As foster parents we don’t always have the answers to every question our foster child asks us. Sometimes we find ourselves lacking the ability to explain how this big, complicated, and messy process works. 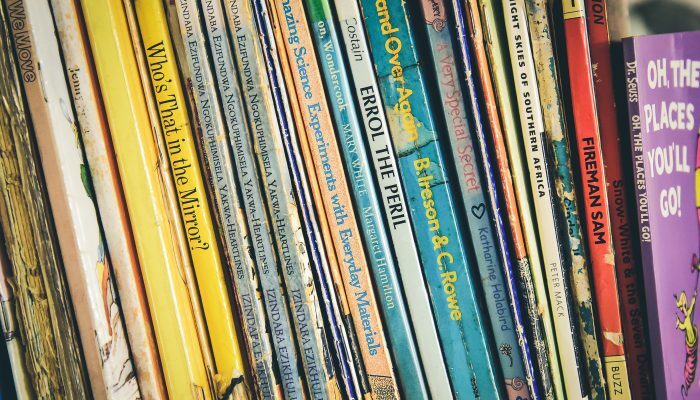 The following five books were written to help foster parents answer the hard questions and tackle real issues foster children face in a way that is relatable and understandable. Through the use of characters like Murphy the Dog or Barley the Bear, foster children are able to connect with a character in a book to help them better understand their situation and feelings. Will I live with my parents again? Will I stay with my foster parents forever? For children in foster care, the answer to many questions is often “maybe.” Maybe Days addresses the questions, feelings, and concerns these children often face. Honest and reassuring, it also provides basic information that children want and need to know, including the roles of various people in the foster care system and whom to ask for help. Being a pup in foster care is awfully confusing. What’s Murphy to do when he’s taken away from his family and placed in a new home, with new people, new pets, and…new EVERYTHING?! As he moves from one house to another, Murphy begins to understand all his sad and angry feelings and finds ways to cope. Eventually he discovers what it means to be a “good luck” dog as he jumps and barks his way into a comfortable spot in his new home. *This books comes with an extensive note to parents on how to help kids cope with the difficulties of being placed in multiple homes. “I Don’t have your eyes…but I have your way of looking at things.” Thus begins this beautifully illustrated and uplifting book that explores the intimate parent/caregiver and child bond that is so important within a family. While others may notice the physical differences, there are so many ways we can celebrate the commonality that makes us truly family. We don’t look the same on the outside, but in our hearts, we are the same. I Love You So… puts into words the often indescribable quality of boundless, steady, and unconditional love. This comforting story embraces the reader like a warm hug and gently reassures a child that love is for always – despite grouchy moods or physical separation. It is the perfect pause in a hectic day, offering the gift of love to a treasured child. I Wished for You: An Adoption Story, follows a conversation between a little bear named Barley and his mama as they curl up in their favorite cuddle spot and talk about how they became a family. Barley asks Mama the kinds of questions many adopted children have, and Mama lovingly answers them all. With endearing prose and charming watercolor illustrations, I Wished for You: An Adoption Story, is a cozy read that affirms how love is what truly makes a family. We hope these books and stories prove to be a great bonding time for you and your foster child as well as a helpful tool in understanding the world and emotions of foster care. Happy Reading!